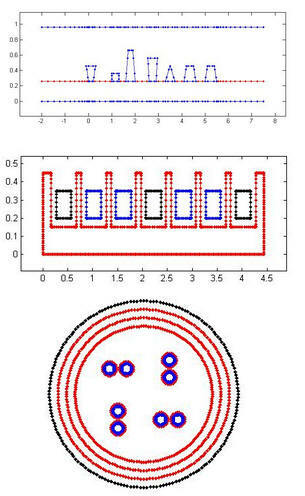 x2D is a 2D RLGC field solver, based on boundary element method (BEM), that has been correlated with numerous actual measurements. Layered structures are entered directly through GUI. Arbitrary structures can also be easily specified through user-defined files or built-in templates. W-element models and a detailed report, including differential and common mode impedance, are provided. 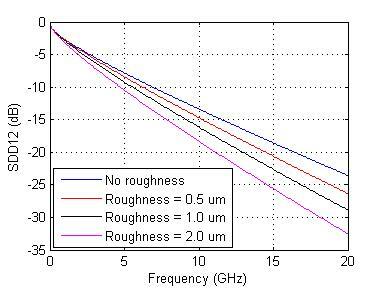 The new and improved X2D2 includes surface roughness and outputs S parameters for causal transmission line models. In this 12 inch, 85 ohm stripline example with different surface roughness, X2D2 accurately models the degradation of differential insertion loss.